Day 14 sees The Smile having its roof sealed, in order to keep visitors happy and dry. 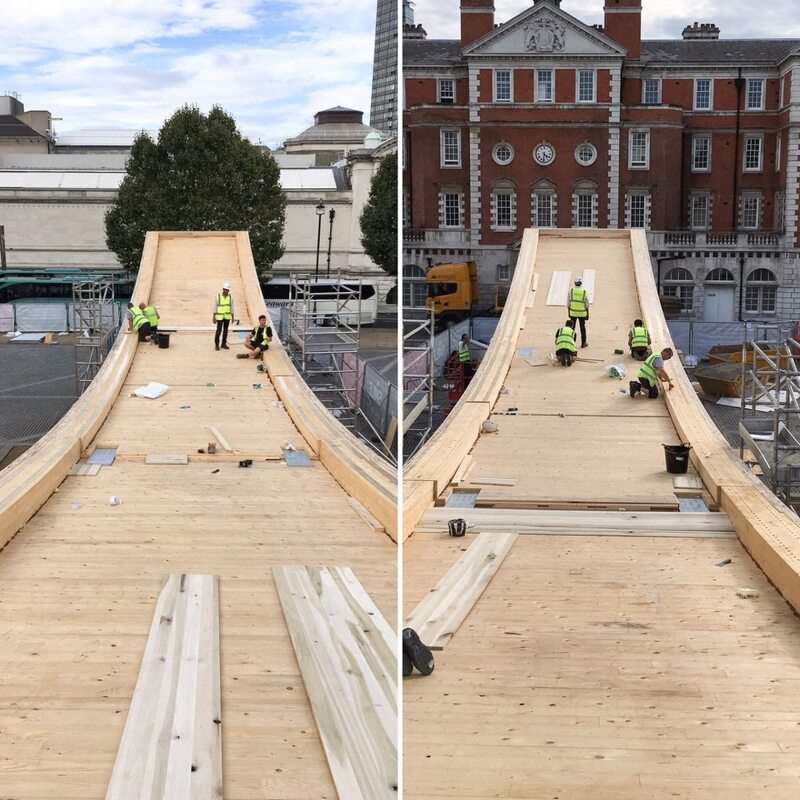 The Smile is a collaboration between Alison Brooks Architects, The American Hardwood Export Council, Arup and the London Design Festival. It is a cross-laminated tulipwood structure that will be on the Rootstein Hopkins Parade Ground of the Chelsea College of Arts from 17 September until 12 October 2016.